Hello friends, Today I will share two methods to fix MOZILLA_PKIX_ERROR_MITM_DETECTED Error on Mozilla Firefox. Users can fix this error on their Windows 10, 8 & 8.1 PC/Laptops. You can fix the error and visit all https website without any error. You will be able to remove error SEC ERROR UNKNOWN ISSUER on Mozilla Firefox. Are you having trouble on the Firefox web browser especially on https connections? If your answer is yes, then let me tell you that this is all because of MOZILLA_PKIX_ERROR_MITM_DETECTED error. I think you might be introduced with the MOZILLA_PKIX_ERROR_MITM_DETECTED error before reading this article. It might be possible that you are facing the same problem but not having this error. So, let me tell you that this error is also known as ERROR SELF SIGNED CERT or SEC ERROR UNKNOWN ISSUER error as well. This much is enough, for now, let’s head up to the remaining part of the article. 1 What is MOZILLA_PKIX_ERROR_MITM_DETECTED Error? You might be thinking that what is MOZILLA_PKIX_ERROR_MITM_DETECTED error on my Firefox web browser, right? This error is caused when Firefox find that your antivirus or any other security system try to insert its security certificate. It happens when you open any https connection website. Generally, the antivirus replaces the SSL certificate from the original one and put its certificate over the connection. This implementation is found in the browser randomly. You will find that suddenly firefox not opening a website on an https connection. Till now you were facing MOZILLA_PKIX_ERROR_MITM_DETECTED error on your Firefox web browser. But, now this is the time to fix this error from your Firefox web browser. 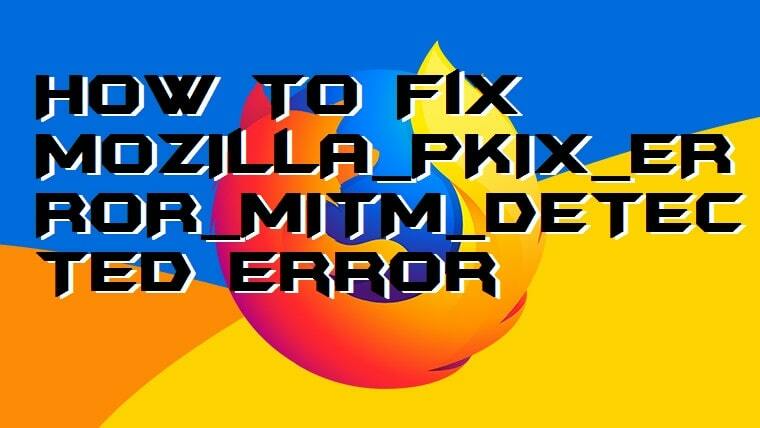 In this part of the article, I have listed two different ways to fix MOZILLA_PKIX_ERROR_MITM_DETECTED error. The method is quite simple and easy to follow as well. Follow both methods one by one if the issue isn’t fixed properly. In this method, we are going to check out that how we can fix MOZILLA_PKIX_ERROR_MITM_DETECTED error by turning off the https scanning of our antiviruses. If you have read the above section of the article, then you have noticed that the cause of this error is somewhere because of the https connection certificate. Our Antivirus system manipulates that. So, let’s have a look on the method to fix this issue from Firefox web browser right now. Now, find options named as HTTPS Scanning, Scan SSL, Show safe result, Do not scan encrypted connections. Once you have found it then simply turn the toggle off. That’s is you have turned off the https scanning functionality of your antivirus. The security.enterprise_roots.enabled is a kind of functionality which is implemented in the Firefox web browser. What security.enterprise_roots.enabled does is that it disables the https connection verification when you open a website of https connection. So, we are going to turn off it with the help of security.enterprise_roots.enabled option in the Firefox web browser. I have listed a quick method to do so. 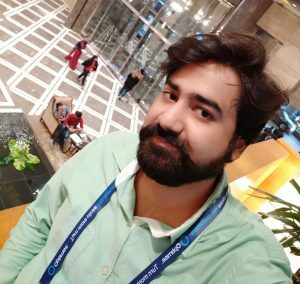 So, follow the method and start using https connection on your browser as like previously. Type about: config in firefox browser search bar then hit enter. Click on the Confirm button if any confirmation popup. Then, double click on it and change its value to true. That’s it. Now, restart your Firefox web browser and check the effects. Read more: How to View a Private Instagram Without Following – Is it Possible? This was the entire article to fix MOZILLA_PKIX_ERROR_MITM_DETECTED error. Not only to fix the error. But we also find out that what is MOZILLA_PKIX_ERROR_MITM_DETECTED error in Firefox web browser. You can follow the official given advice which is listed on the website of the Firefox web browser. However, it doesn’t help much. That is why I have shared these two guides with you people. I hope using those above-given guide you have successfully fixed the error from your Firefox web browser. Make sure that you share this article with the person who is facing the same issue. Top 10 Best Windows 7 Tricks and Secrets – Must Try!